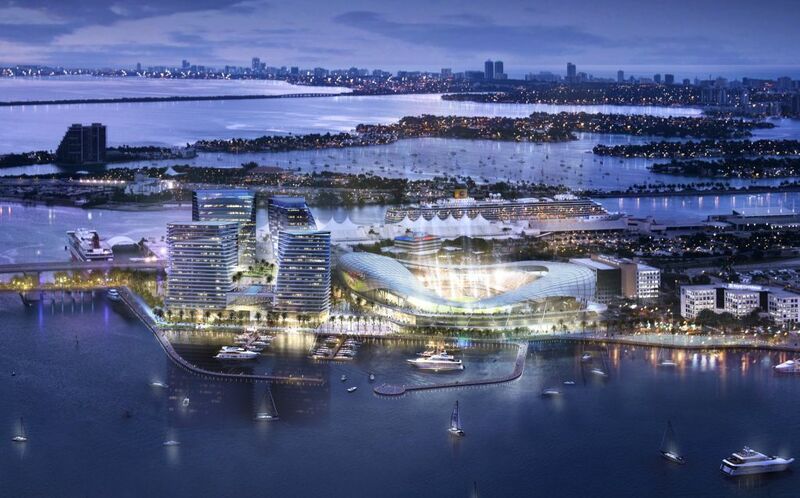 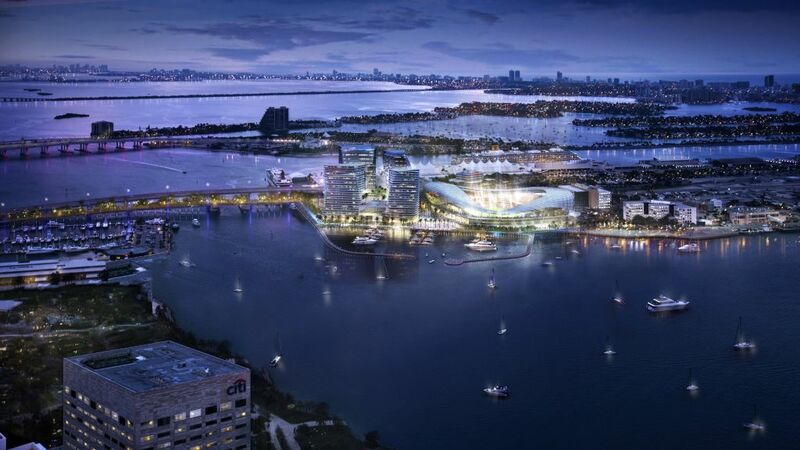 New stadium within the Port of Miami was planned in the westernmost part of Dodge Island. 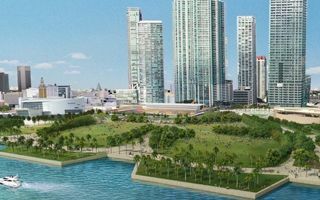 With this location it's just a few minutes walk from the strict centre of Miami, providing decent access despite the remote island setting. 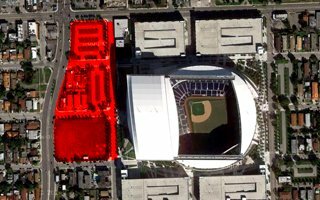 While the Port Boulevard would provide vehicle access, pedestrians (most fans would have to leave their cars downtown) would use the abandoned drawbridge, which would be convereted into a friendly, linear park. 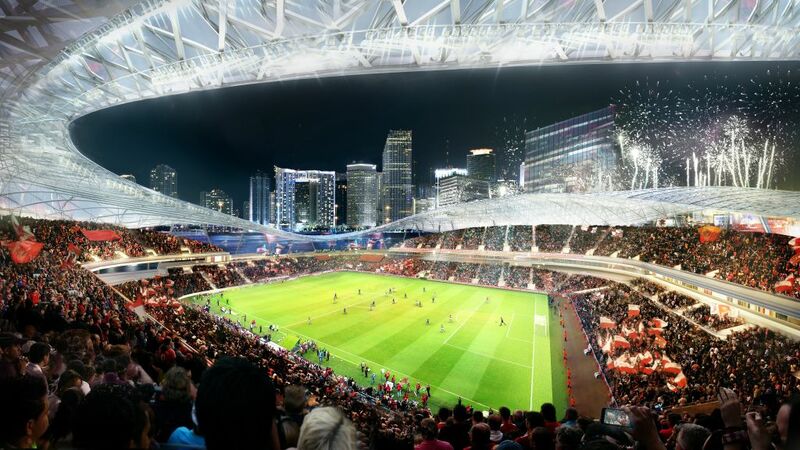 With budget roughly estimated at $200 million, the new stadium might hold between 25,000 up to 35,000. 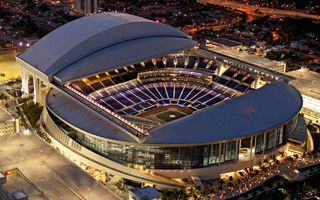 Visually light and dynamic, the stadium was designed by joint teams of Arquitectonica and 360 Architecture. 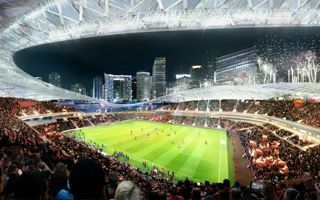 It provides cover for majority of spectators, while the roof is undulated, giving thousands a great view of Miami downtown. 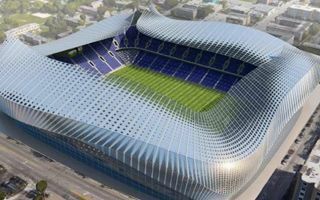 Together with perforated external cladding the roof should also benefit from natural breeze to ventilate the stadium properly. 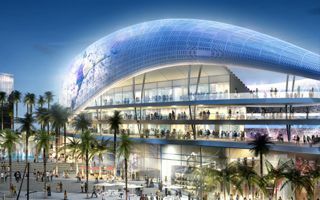 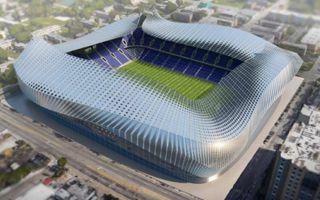 Besides regular football use there are also secondary uses planned within the building and its adjecent plaza: shops, maybe a Beckham museum, and open terraces. 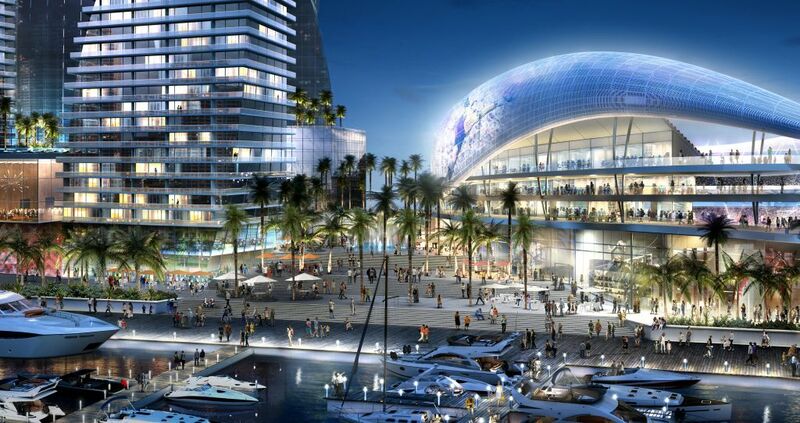 It would also have a nightclub open year-round to the public. 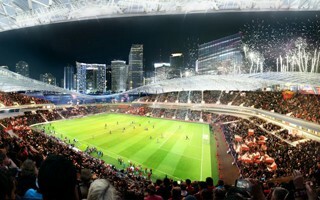 Revealed yesterday, here is the stadium David Beckham hopes to see standing in Miami by 2018. 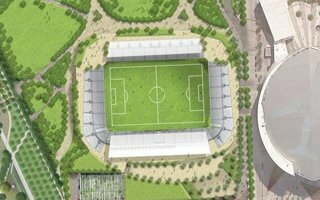 But there are many obstacles along the way, so other locations are still being considered.